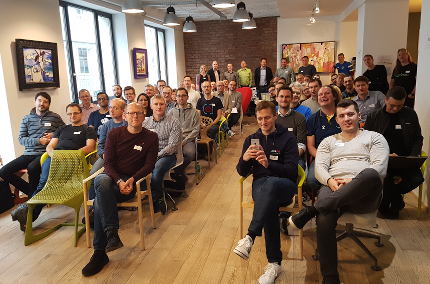 Saturday, November 24th, 2018 – this day will be written in history of SAP Inside Track as the day when the first Inside Track in Austria took place. And it was not anywhere else than in the capital of Austria – Vienna. In this blog post I would like to briefly share my experience during that day. #sitVIE started right on scheduled time at 9:00. We were very well welcomed by sponsors and organizers. Thanks a lot to Johann Fößleitner, Philipp Liegl. Around 70 attendees gather up in LOFFICE Coworking space and the show started! The speaker of the day and one of the organizers- Oliver Wahrstöttter gave us detailed information about the agenda. Mrs. Svea Becker continued with the idea of SAP Inside Track and motivated everybody why it is important to learn, teach and share knowledge within the community. How to stop worry about S/4 HANA migration? Easy! SAP provides a lot of tools and services to make the migration possible. On the great example – looking for restaurants and best ski paths in ski resorts in Italy – we learned what Advanced Analytics can do. We learned what elastic search is and how it can connected to SAP databases. And also we learned that ‘these are not the droids you are looking for’. 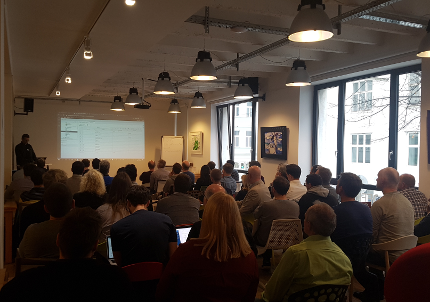 Laurens shared with us his experiences and best practices about writing ABAP Code, Comments..
And of course how to write Clean Code. This streamed speech from Damir enlightened us in Object Oriented Programming and its principles and experiences how it all started. Andreas presented his open sourced Eclipse ABAP Development Tools plugin for test driven development. We learned how to develop modern apps on SAP Cloud and what are all the modern and available possibilities of building UI5 Apps. And last but not least. How would you make sure that you are building the RIGHT application, product for your customer? Tudor shared his ideas and experiences how to ‘think before doing’. 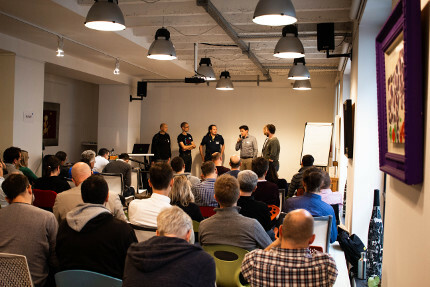 But not only the presentations… on the agenda there was also great Panel Discussion, LEGO game and ABAP in the Cloud System available for everybody to try this new technology. It was a long day but it was definitely worth it! If you have never attended any SAP Inside Track, you should do so! Here is the list of upcoming Tracks in 2019! 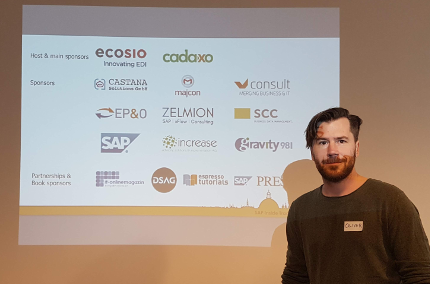 Thanks again to all sponsors – mainly Cadaxo and Ecosio – for making it happen and hopefully see you all next year! Wow great summary Dussan, I was lucky to attend to two sessions remotely and it was fun. I believe hour you spent there was worth it. Thanks once again for sharing your experience and keep doing the same. Dusan, I hope that the other lesson you’ve learned from HANA Advanced Analytics talk is that Dr Faustus is one of the Marvel characters born in Vienna! Thanks Dusan for organizint the sitVIE, looking forward to see you next year on same occasion!